Finance Ideas 4u: You want to improve your Credit Score….simple ways are here. You want to improve your Credit Score….simple ways are here. Credit score is one of the most important point while you are going to take loan for your home or for your car. Basically all the lenders will check your credit score before approve that loan. So, you should be careful when it comes to your caredit score. You need to check all the data which is included in your credit report & make sure all informations are completely up to the mark. Here are some important ideas that you can do to always make sure that you maintain a high credit score. 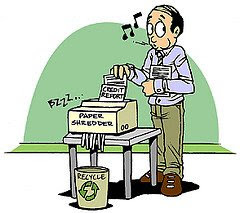 Firstly, you need to take a free copy of your credit report form all the major reporting agencies. Those reporting companies will provide this report once in a year, so you need to take that facility before spending any money to make your actual report. Secondly, Check the report carefully & look into its accuracy because if there are items you do not agree with being reported then you must dispute these items with the agency. The agency after they get your dispute has 30 days to verify if the items is accurate or not. If they can not verify it within 30 days then by law it must be removed from your credit report. Last but not the least, always pay your credit card bills on time. And I think this will help to raise your credit score. One another point I forget to tell that keep low balances on your credit cards. It will help you to improve the score. Generally most of the people charge up there balances into higher level & this will make your credit score low. good one..But do you know that improving or increasing credit score has become easy...You can even do it yourself by registering into a site called www.ftc.gov. If you want to take any help about your credit score then you can visit http://www.philiptirone.com// site!! !credit repair help will vary in its scope from person to person and case to case, there is good help to be had. you should know about details of your credit bill!! 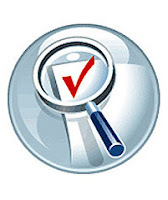 Some credti searching companies offer a service free for 30 days. It is genuinely free you just have to cancel your payment plan before the 30th day.